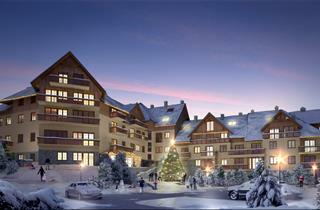 Szklarska Poreba offers one of the best skiing resorts in Poland. 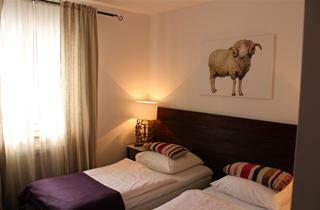 Situated in the western part of the Karkonosze mountains, the town is mountain chain's capital. The nearby Mt. 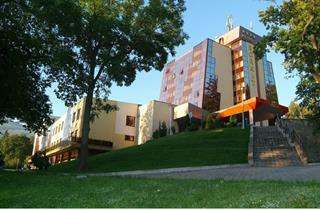 Szrenica (1363 meters above sea level) can be reached by chain lift starting from town's centre. When in Szklarska Poreba, it is necessary to visit nearby Sniezne Kotly sanctuary with its over 100-meter high walls and 3 tiny, post-glacial mountain lakes. The town itself is not a large, alpine-like mountain resort, but a small town dedicated more to travellers requiring quiet and peaceful holiday than to holiday partygoers. 6 ski lifts and 14 kilometers of runs, artificial snow and night skiing possibilities await skiers every winter. Skiers of all levels will find something for themselves. Experts will appreciate tough FIS licenced run as well as the 4,5-kilometer long 'Lolobrygida' runs. Beginners can improve their skills on the 1,5-kilometer long 'Puchatek'. Skiers aiming at joining skiing with sun baths shall definetely try the ski run at Hala Szrenicka. Three lifts decrease time spent in queues. Evening skiing is also possible in Szklarska Poreba. Every day between 6 and 10pm, the runs are open and illuminated. 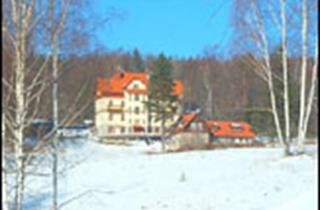 Nearby village of Jakuszyce offers great conditions for cross-coutry and trace skiing passionates. Its Polana Jakuszycka is covered with snow as long as until late March or early April, what makes it Poland's top destination for cross-country skiing lovers. A great cross-country event Bieg Piastow (The Piast Dynasty Ski Run) is held yearly on Polana Jakuszycka.